Well, the catfish were jumping. 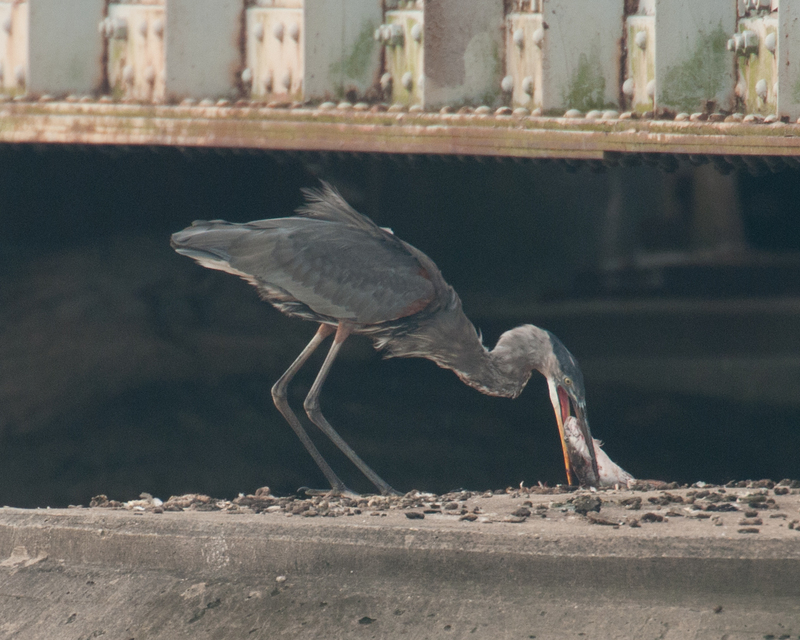 And a very lucky great blue heron caught one. Another fish jumped out of the water just as this guy landed with his lunch. 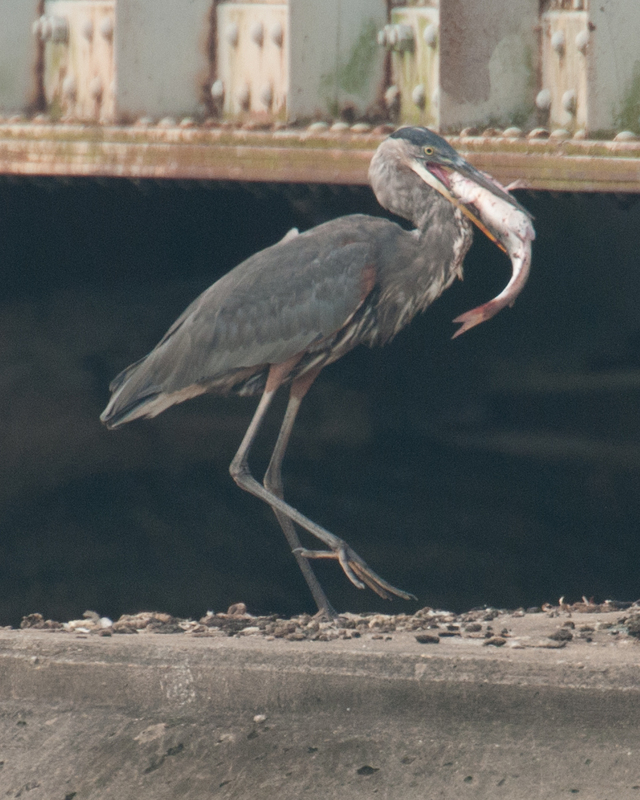 He slammed the fish down on the concrete over and over. I assume it was to render it motionless, er … The fish looked alive for awhile. 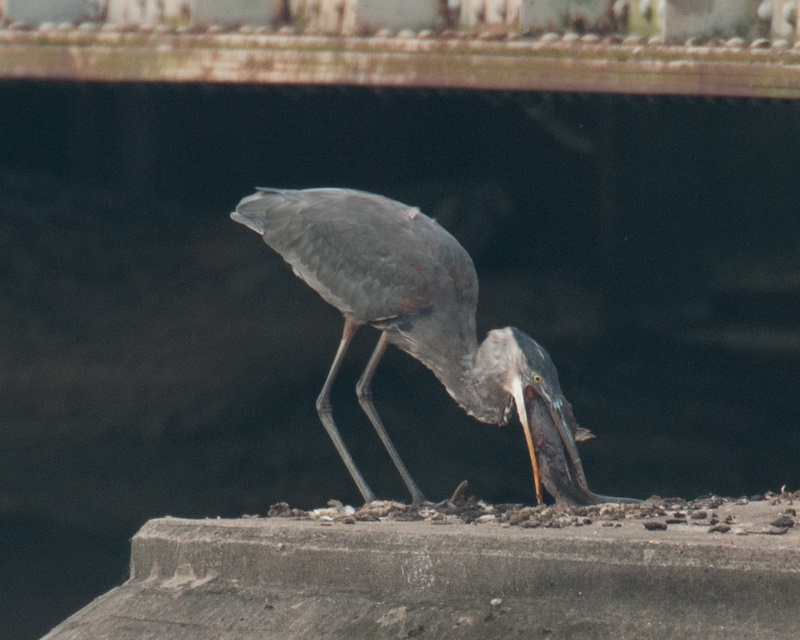 The bird couldn’t get the fish down his throat and a kayaker scared it away. 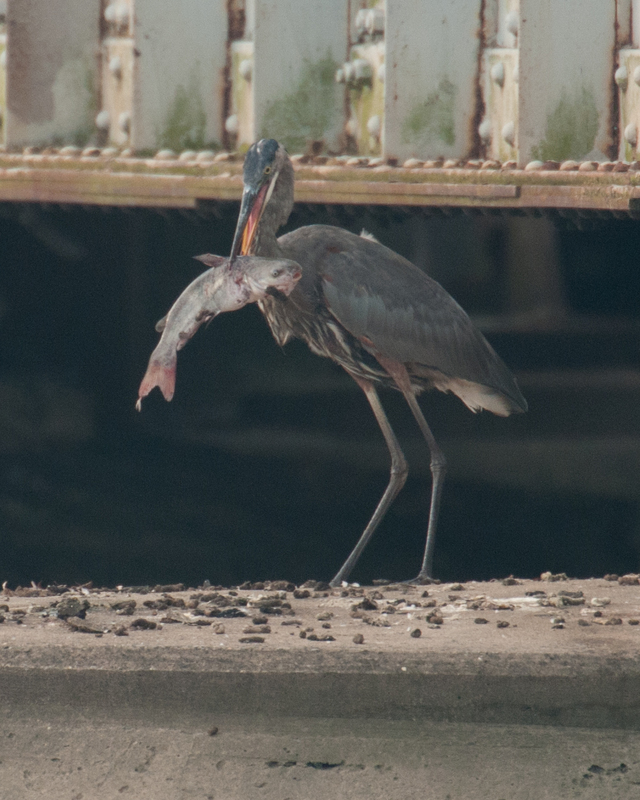 Of course the heron took the fish. 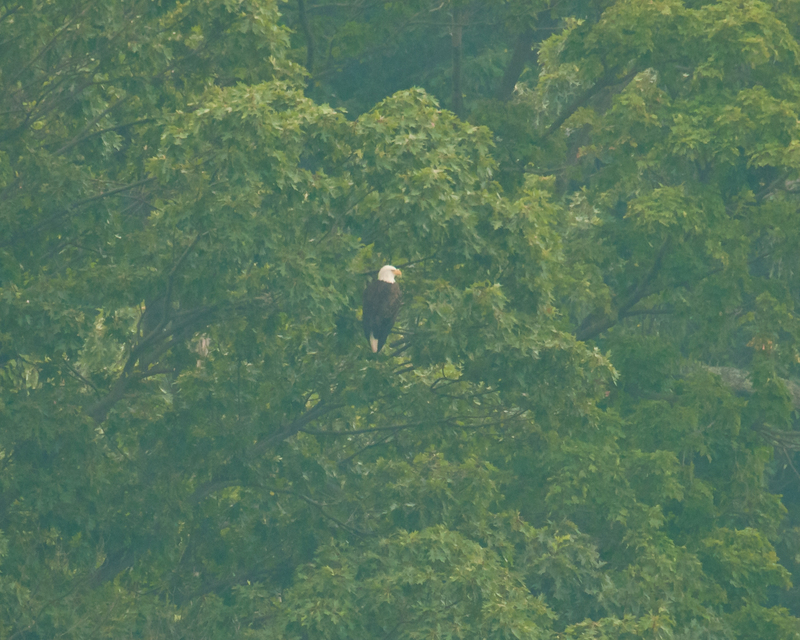 And this guy had its eye on the heron during the whole process. 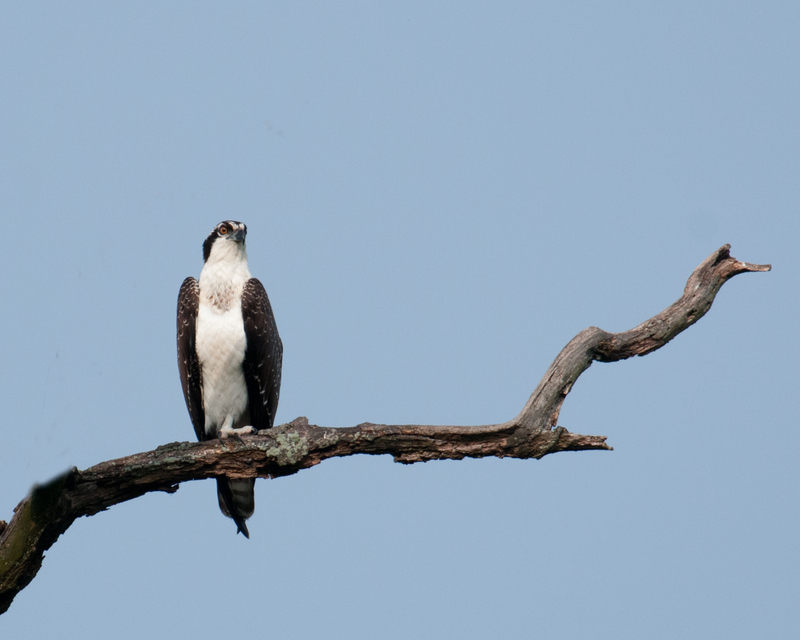 This osprey owned the entrance to Croton Point Park. Looks like a youngster to me. 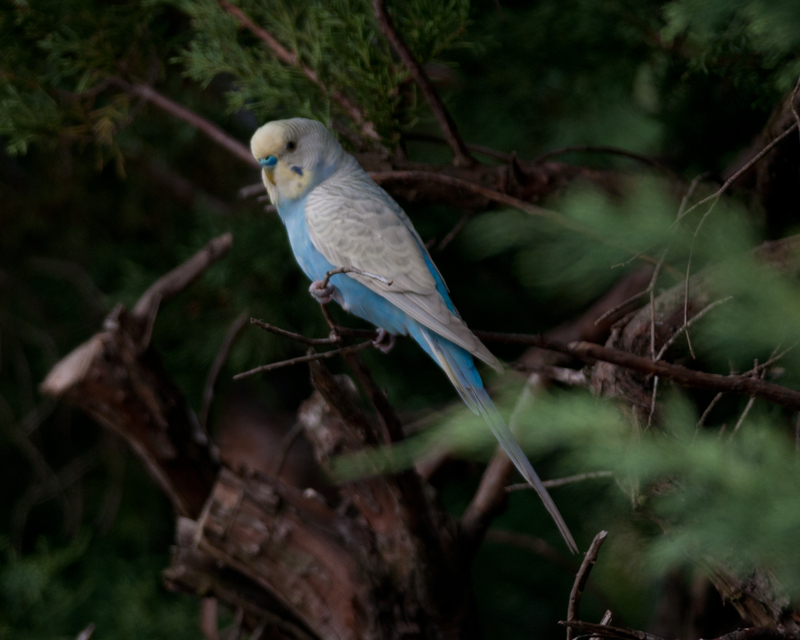 Wouldn’t be end of summer without catching a parakeet. This makes number three at my house. I have had the other two for over four years and they don’t ever want to be out in the wild again. Sparrow Boy was quite comfortable flying with the sparrows. Hopefully he will adjust to my flock.